Your enrolment checklist is accessed from your my Student Centre homepage. Select the Enrolment Checklist tile to begin. 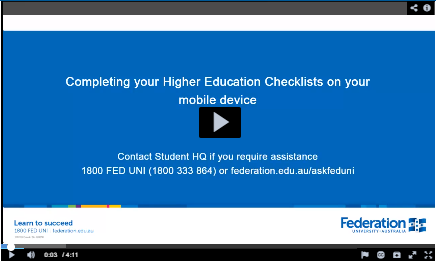 Your Enrolment Checklist must be completed before you can enrol in to your classes.